Will you please get a message to Joni for me? Although this is the official Joni Mitchell website, we have no 'direct line' to Joni nor the means to pass messages on to her. Sorry, wish we could help. 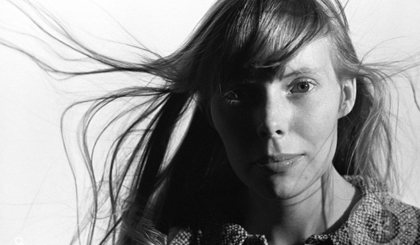 When and where will Joni be performing next? Unfortunately, Joni is pretty much retired from public performances and has no plans for any touring or other isolated appearances. If she changes her mind, we will feature this fact prominently in the news section of the site. Where can I see or buy Joni's artwork? Joni does not sell her artwork nor have it displayed anywhere except on rare occasions. However, if you are registered here at the site, you can browse the artwork section and indicate which pieces of artwork you'd like to purchase. Hopefully, demand will create supply. If they ever become available, we'll email you. I'd like permission to record/sample/use one of Joni's songs, reprint her lyrics, or interview her. Check here for permission, press, and management contacts.